A cookbook that reflects the colourful, flamboyant nature of its author. 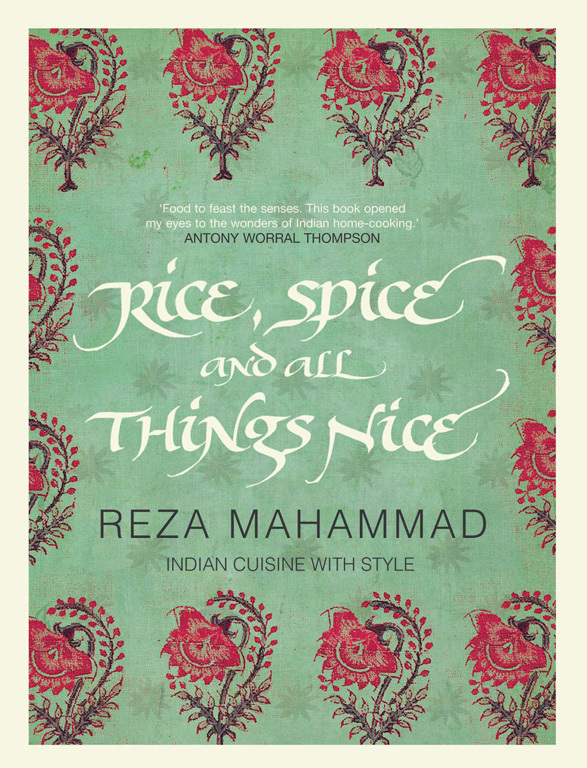 It features 80 recipes mostly from North and Central India and includes such dishes as Prawn Moilee (prawns cooked with coconut milk), Chilgoza Rice (rice cooked with caramelized onions and pinenuts), Spiced Mussels in a Tamarind Broth and Cashews in a Rich Coconut Sauce This exquisite fare is accompanied by lively, amusing text in Reza's inimitable voice - full of charm and wit and chutzpah! Beautiful landscape photographs redolent of the mystery and romance of the East are interspersed throughout and complement the mouthwatering images of Reza's food.